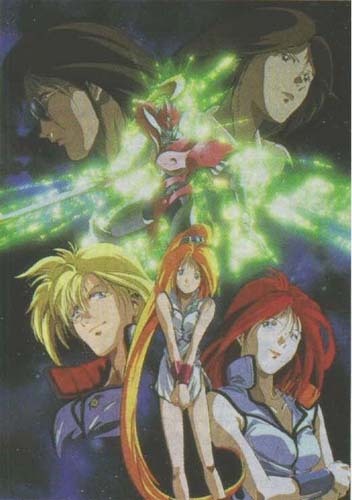 This 6 episode OVA series takes place 10 years after the Tekkaman Blade (Teknoman) TV series. Most of the original characters are gone- only D-Boy, Aki, and Hoden remain. The main character is Yumi Francois, a young mechanic turned Tekkaman. To conserve energy, the new Tekkaman also work with a pilot who flies them around on ships, much like Pegas the Teknobot did for D-Boy. The Radam are still the main problem, but there is a new threat on the horizon- the arrival of Tekkaman Dead, the Black Tekkaman, who hates the Space Knights with a passion. This series is a lot better than Tekkaman Blade, with better animation and artwork. The above description came from Ion, and was edited by yours truly (contact me).